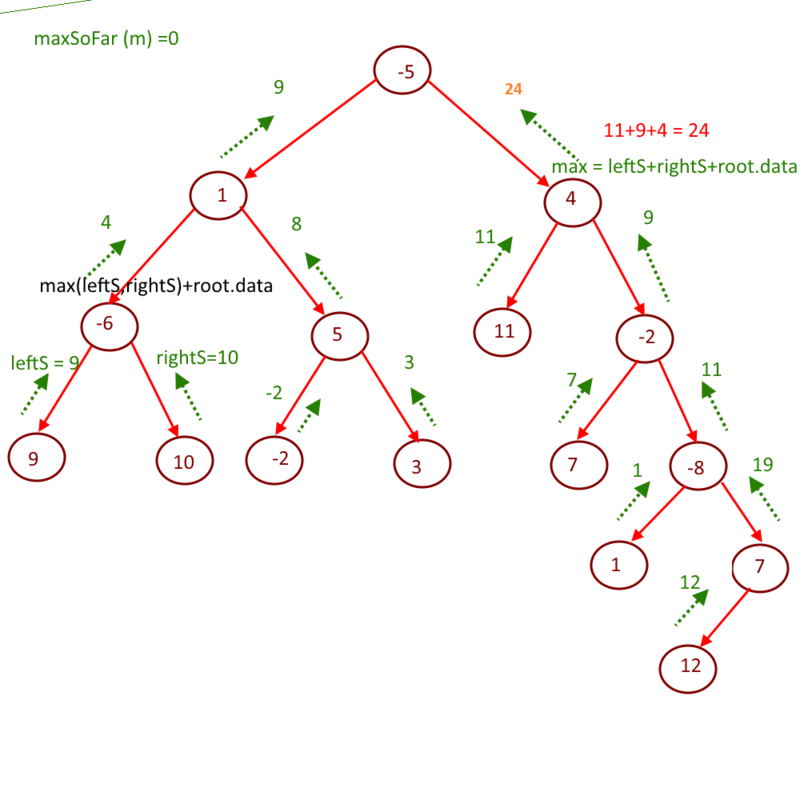 Objective: Given a binary tree, Find the maximum path sum from one leaf node to another. Take a variable say, “maxSoFar=0” this will our final result. Next story Convert a Sorted Doubly Linked List to Balanced BST. 235 queries in 0.104 seconds.